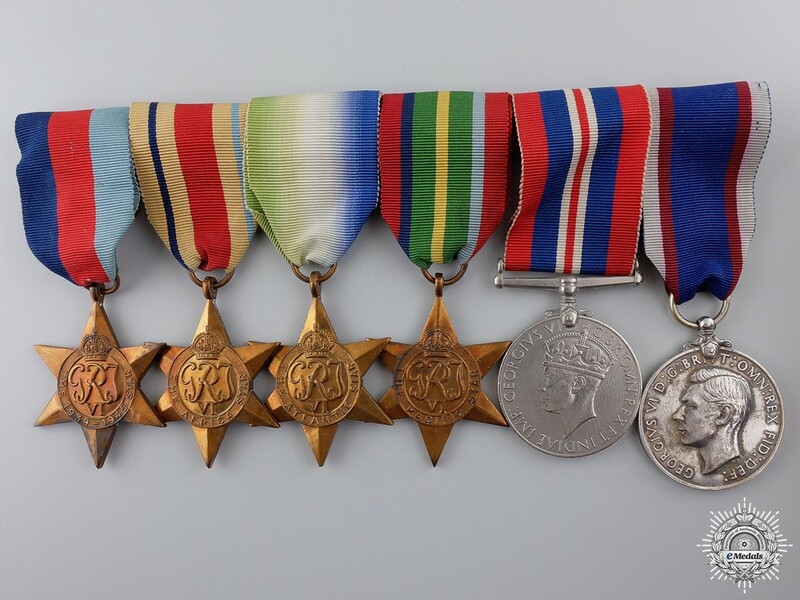 A Second War Group to the Royal Fleet Reserve - 1939-1945 Star, Africa Star, Atlantic Star, Pacific Star, War Medal 1939-1945, Royal Fleet Reserve Long Service and Good Conduct Medal (JX. 144439 J.C. BAILEY. PO. B. 22519 Y.S. R.F.R.). Naming is officially impressed in small capitals, better than very fine condition. 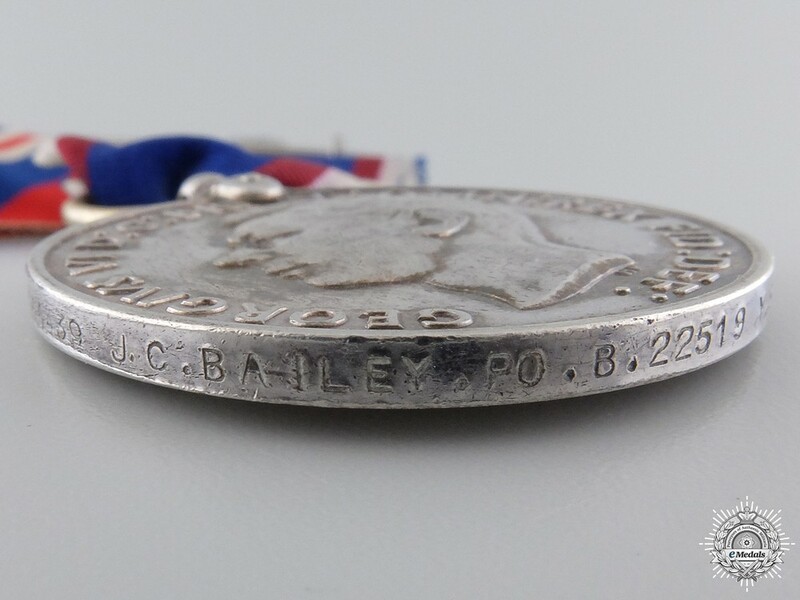 Footnote: JX144439 J.C. Bailey PO Visual Signalman, Yeoman of Signals. 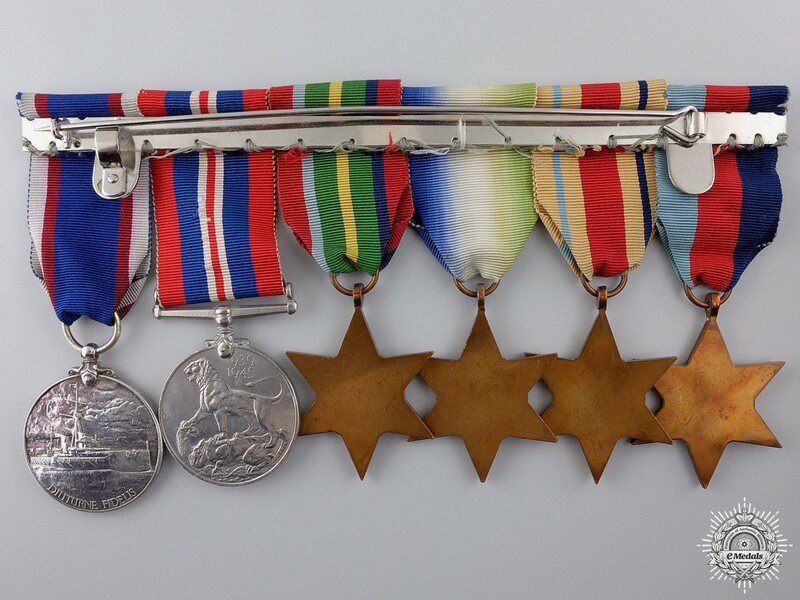 Served on HMS Amphion (SA Station), HMS Hyperion (sunk in the Mediterranean by mine contact), HMS Aphis (coastal patrols off North Africa), HMS Belfast (Arctic convoys) and the HMS Formidable (Far East and was attacked/damaged by Kamikaze aircraft).